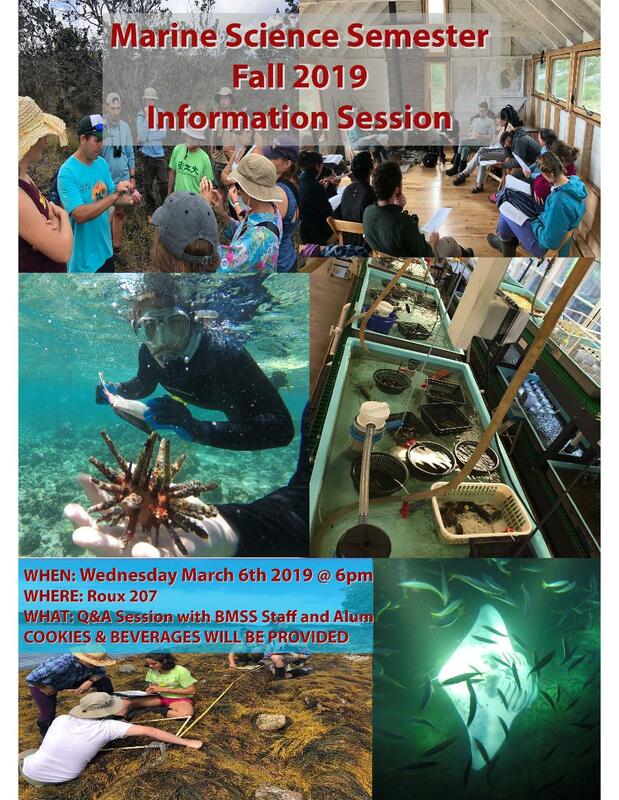 Join Marine Science Semester faculty and alumni to learn more about the Fall 2019 program! Kachemak Bay is one of the richest marine estuaries in the world. Charismatic species such as sea otters, killer and humpback whales, bald eagles, puffins, jellies, halibut, and salmon utilize the waters and coastal environments of Kachemak Bay. Students are immersed with these and other species, such as beluga whales, during hands-on labs, field trips conducted throughout the semester here in Kachemak Bay and the surrounding waters of Cook Inlet, and during undergraduate internship opportunities conducted with our community partners. Check out http://semesterbythebay.org/ or see the attached flyer. One of the best parts of my job is to put together unique Alaska Coastal Ecology educational programs for middle school, high school, and college student groups from around the state, country, and even world. If you are interested in bringing a group of students to our remote Peterson Bay Field Station in spring, summer, or fall, please get in touch. Using evidence-based teaching methods and immersing students in the amazingly diverse and complex human-ecological systems of the Kachemak Bay region, these field study trips can be just a couple days long as part of a longer trip throughout Alaska, or you can focus your time in Kachemak Bay, spending over a week at the Field Station. Check out https://www.akcoastalstudies.org/education-programs/summer-youth-programs/for-groups.html or the attached brochure for more information. Please pass this information on to anyone who you think might be interested, and get in touch if you have questions! Spaces are available in three of our spring 2019 programs (Colonization to Conservation in the Caribbean, Marine Biodiversity & Conservation, and Oceans & Climate). It’s vitally important to have a full complement of students on our ships to contribute their varied talents, interests, and energy, so we hate to see bunks go empty. This is an excellent opportunity for a bright, adventurous student to attend SEA Semester. Once again, all students are eligible to receive financial assistance to reduce the cost of all our 35- and 45-day summer programs. Applications should only take about 10 minutes, and the deadline to apply for our summer programs is coming up on March 8th. 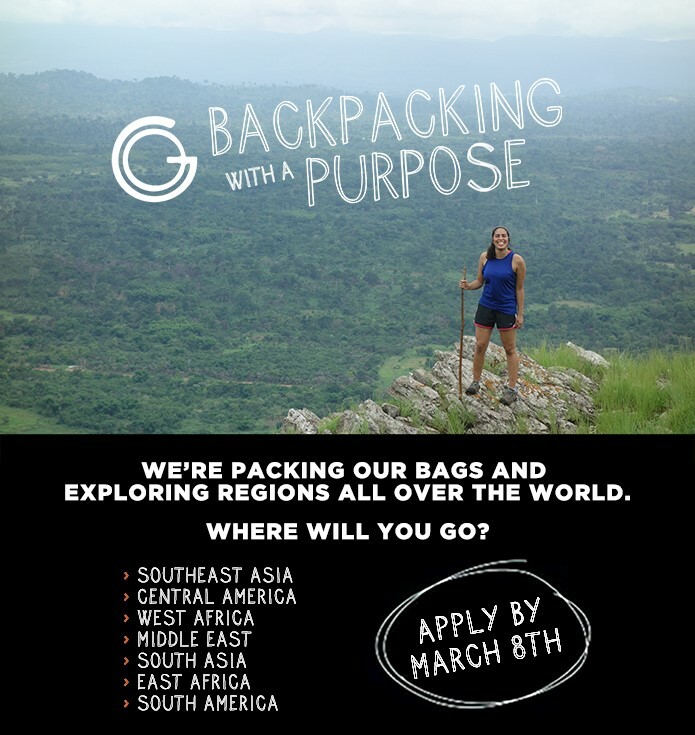 Operation Groundswell is a non-profit that runs travel, community service, and experiential education programs around the globe. We dig into social justice issues while working in solidarity with local activists, non-profits, and communities. We want you to join us in the fight for a better world. It’s time to make the whole world your classroom! Programs are filling up quickly, so apply as soon as possible. Financial assistance is available for all students on five- and six-week programs. Join us for an exciting one-day conference focused on nature-based education. Sessions are designed to be interactive and outdoors, and will appeal to a range of educators working across age levels and settings. The day will be designed for educators-in-training as well as those who have extensive experience in the field. Opportunities to connect with colleagues will foster shared learning and exploration. The day will feature a keynote speaker, locally grown food, and workshops that will bring you outside to learn more about how nature based education benefits children and adults. Schedule of sessions will be available in early January 2018.